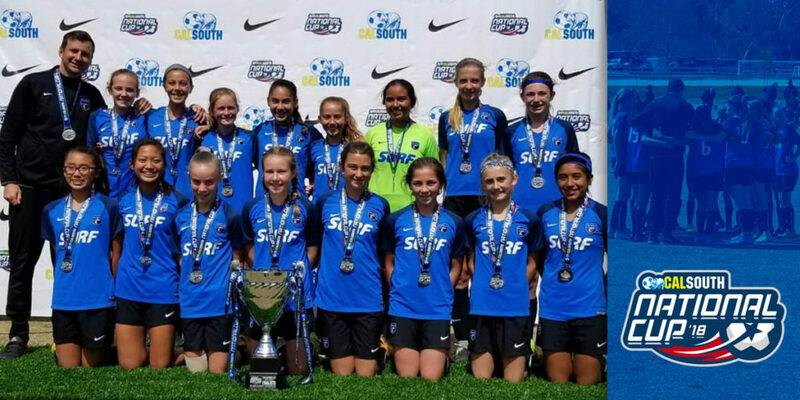 Surf 2006G Barclay Wins National Cup! The girls won 1-0 against Blues with a goal coming from Amanda Anders. 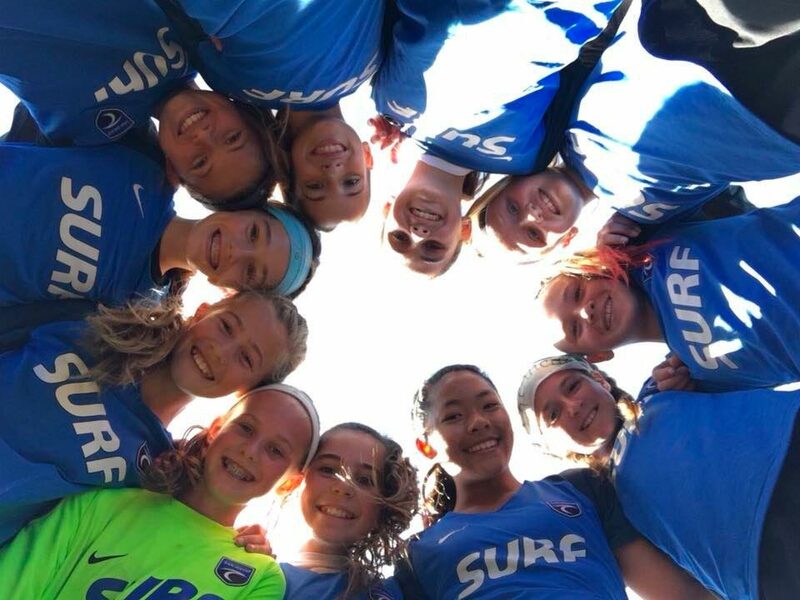 The girls will now represent Surf and Cal South Soccer at the United States Youth Soccer (US Youth Soccer) Far West Regionals this June in Utah. Surf 2007G Barclay Wins State Cup! 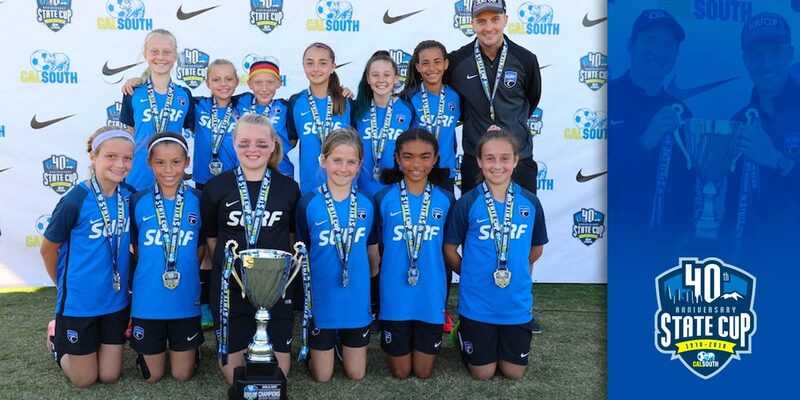 The San Diego Surf SC Girls 2007 team, coached by Craig Barclay, won the prestigious 2018 Cal South State Cup. 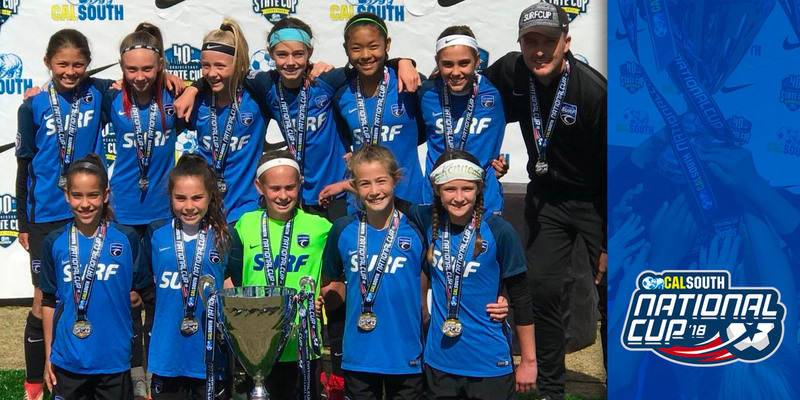 Surf SC Girls ’07 defeated the Slammers FC G07 PA 3-2 in the Cal South State Cup Final to win the 11U Presidents State Cup and become champions. “After the game, I asked the girls to celebrate every practice, every game and every failure leading up to the championship, rather the final itself — Those are the moments that truly lead to them becoming champions,” said Barclay. Surf 2005G Brookfield are 13U National Cup Finalists!